Maranjab caravansary (roadside inn) which was built with the aim of safeguarding commercial caravans, lies 160km south of Tehran on the southern shore of Namak salt lake, Isfahan Province, Iran. It was an important stopover for those traveling the Silk Road where they could rest and recover from the day's journey. Caravansary supported the flow of commerce, information, and people across the network of trade routes covering Asia, North Africa, and South-Eastern Europe. Maranjab Caravansary is one of 999 Iranian caravansaries built around 400 years ago by Shah Abbas I of the Safavid dynasty and one of the oldest accommodation facilities for tourists in the area. 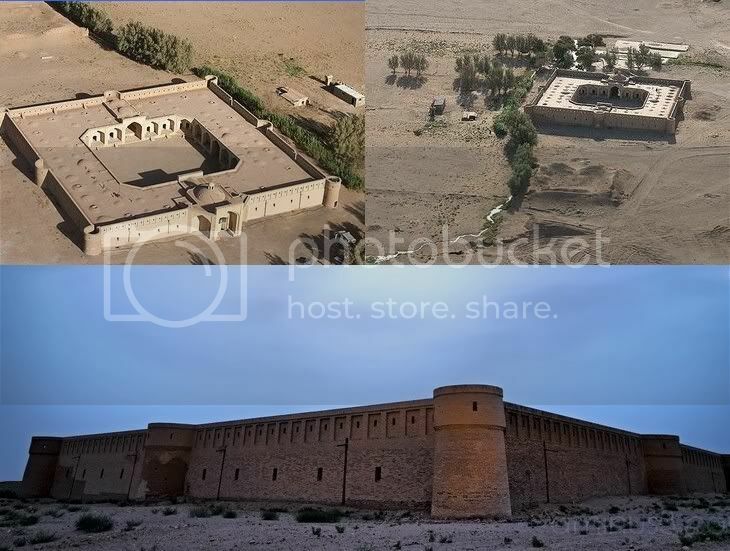 When cars replaced camels, new hotels became popular and old caravansary were neglected and fell into disrepair but in 2000 the Maranjab Caravansary was extensively renovated. The building has several rooms each with a garden in the middle, two ovens, one for heating and the other for cooking and is comprised of four verandas and six observation towers. entrance on the northern porch. walls of the enclosure were outfitted with a number of identical stalls, bays, niches, or chambers to accommodate merchants and their servants, animals, and merchandise.